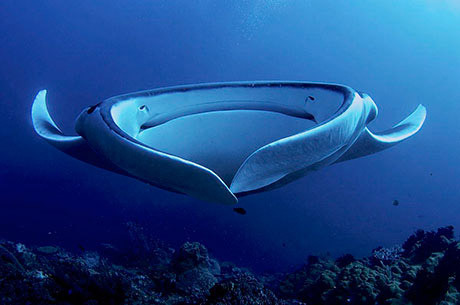 Welcome to SCUBA News - our complements of the season to you all. Two readers recently got in touch about diving Saudi Arabia. Below is a lovely story from Ann Schroll about learning to dive around Jeddah in the 1970s, and advice for today's divers from Mike Hardaker. Thank you both. There is some incredible diving in Mozambique, from whale sharks and mantas to leaf fish and harlequin shrimps via dugongs and turtles. 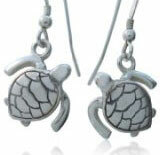 Stuck for last minute presents for your diving friends and family? 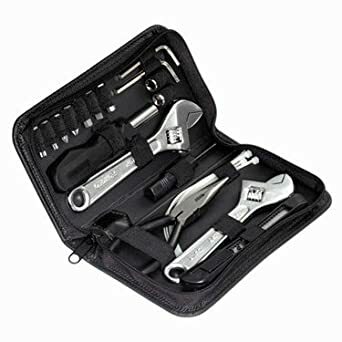 Here are some gifts which have been popular on the SCUBA Travel site. Born to Dive Forced to Work. So bad it's good. The Schleich Scuba Diver Smurf Figure features a bright yellow wet suit, flippers, an air supply tank with gauge, snorkel mask, and the classic white Smurf Hat. 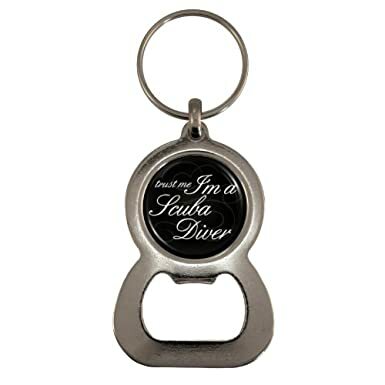 Never be short of a bottle opener with this keyring. 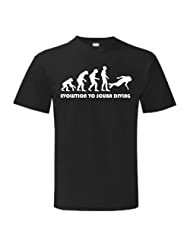 Evolution To Scuba Diving T-Shirt. Hi folks at Scuba News! You may be interested in the latest developments for divers in Saudi Arabia. Recently, following a number of accidents I believe, the Saudi coastguard authorities have introduced a new Arabic dive licence, a version of the PADI/BSAC licence for local residents, without which you are not allowed to dive in the Kingdom. The current status in Jeddah (as of last weekend) is that the Sheraton Beach Resort will allow divers to dive off the beach, inside territorial waters, with only the PADI licence, but this is strictly against the instructions they have been given. They are requesting that everyone diving there should apply for this new Saudi diving permit. If you intend diving from a boat outside the coastguard limit, you MUST have the Saudi licence. This applies to weekend boat operators such as Desert Sea Divers in Jeddah and, presumably, the operators up in Yanbu. I completed my application here in Jubail (eastern province) and found it to be a tiresome and long-winded process. If you are interested, I can provide all the details of what is needed. Let me know if you're interested in more info. I'm Arianna Gioffredi, an Italian SSI instructor. I'm looking for a job where I can express my passion and earn money at the same time, so working in a dive center is perfect for me. I have been diving for 30 years and I consider myself a professional in this field. I'm a diving instructor since 1993 (DCSI 17773 SSI). I have worked in many dive centers in Italy and I have a lot of experience with children with which I love working. I volunteer at Dynamo Camp about the swimming pool. I'm a lifeguard and swimming instructor. I would also like to add that I'm a professional secretary and have worked in a lawyer's office for 25 years, so I could also help with the secretarial work of the dive center or the resort. Looking forward to hearing from you. If you would like to get in touch with Mark or Arianna let us know and we'll pass your message on. Read more on the diving in Saudi Arabia. SCUBA Travel are pleased to release the newly updated list of the 2015 best selling SCUBA books and dvds. The British Sub-Aqua Club (BSAC) has published its Annual Diving Incident Report for 2015. This year's report records a total of 226 incidents, up by ten on last year. However, fatalities were the lowest for twenty years. Fisheries researcher Dr Lachlan McLeay has developed an approach to gauging sardine abundance through looking at the diet, health and population dynamics of crested terns - by studying their vomit. Less than 2 years after the International Court of Justice in the Netherlands ruled that Japan must stop killing whales, Japan has announced that it will relaunch its program to hunt minke whales in the Antarctic. Fishing boats that use heavyweight bottom-trawling and shellfish-dredging equipment are annihilating precious artefacts and sunken ships.